What makes Dr. Westermeyer’s office truly unique compared to other podiatric physicians and surgeons offices is that his office has a self contained fully equipped operating room. Most podiatrists do surgery but they don’t have their own surgical suite. When Dr. Westermeyer designed and built his office 20 years ago he foresaw the medical insurance dilemmas that we are experiencing these days and that patients would need to save thousands by avoiding costly surgery center and hospital costs. Of course Dr. Westermeyer routinely performs surgery at Palomar Medical Center, Scripps Memorial Hospital Encinitas, Escondido Surgery Center and Center for Surgery of Encinitas, he also performs surgeries such as bunionectomies, hammertoe correction, excision of Morton’s neuroma, heel spur removal, plantar fasciitis procedure, permanent correction of ingrown nail and bone spur removal entirely painless in his offices’ dedicated procedure room. This makes foot surgery affordable even if you don’t have insurance. Many of the procedures stated above are about the same or a little more then a few monthly medical insurance payments. So it’s affordable to even the uninsured or those with a high deductible. Recovery from most of these in office foot surgeries can be surprisingly painless. Even though you will be provided with the appropriate pain medications, most patients need very little pain medication or take none at all after their procedure. If you have a procedure in the office, you will be provided with a special walking shoe, a special foot cover so you can take showers and written post operative instructions. When you’re looking for a foot doctor or an orthopedic specialist whether it is for your ankle or your foot, you need to feel comfortable with them and the office. Dr. Westermeyer’s office is very warm and comfortable. The reception and front desk is open and spacious. The exam rooms are private but bright and airy. There is a dedicated X-Ray room so there is no need to go to another place for an X-Ray. Dr. Westermeyer is a trained and certified foot and ankle surgeon that has experience treating all foot disorders. Whether you are suffering from pain, discomfort or an embarrassing condition, we can help you. We spend quality time with our patients in order to diagnose each foot disorder. Dr. Westermeyer and his staff strive to achieve the highest quality level of personalized, comprehensive foot care. 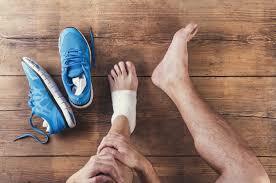 Additional services include: Foot and ankle surgery, Children’s feet, Sports medicine, Custom orthotics, Diabetic foot care.